What a glorious day. 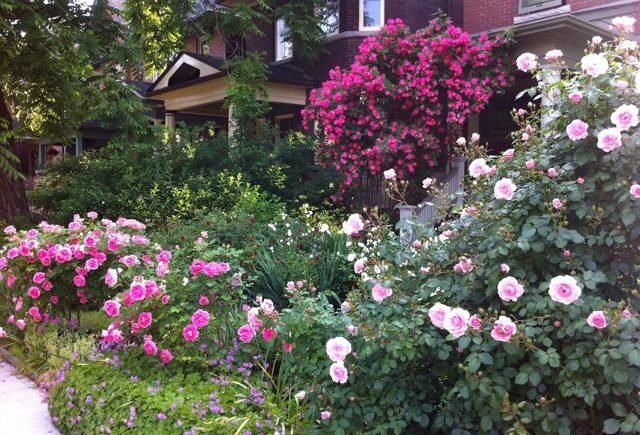 It’s a gift to every father in Toronto – wrapped up in roses, which are blooming their heads off all over the city. Happy Father’s Day, gentlemen! Nature is telling you (and each of us) to stop and smell the roses. Take pleasure in these small moments: the gift of the here and now. Oh, to have such lovely flowers! We had a cold-hot-cold-hot spring here, but it was great for roses, wasn't it? And no little green worms on mine, so lotsa flowers! 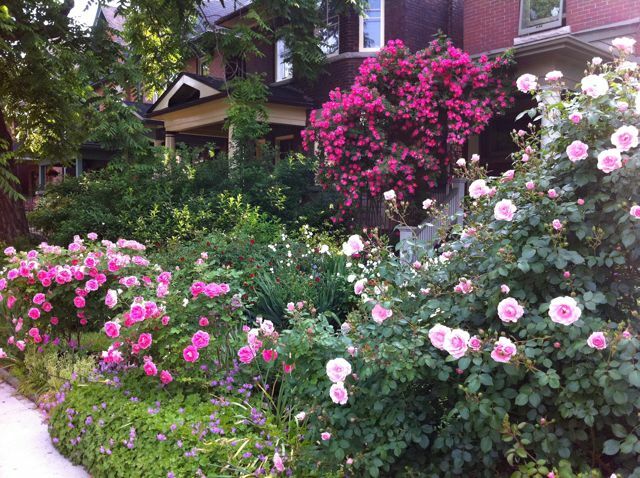 I don't have any climbers, but we are going to spend the weekend smelling the roses – on the Garden Tour. I hope they dry out before tomorrow.